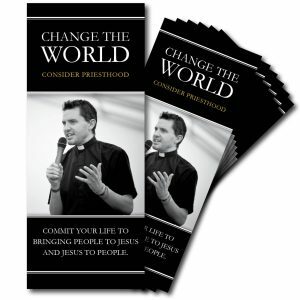 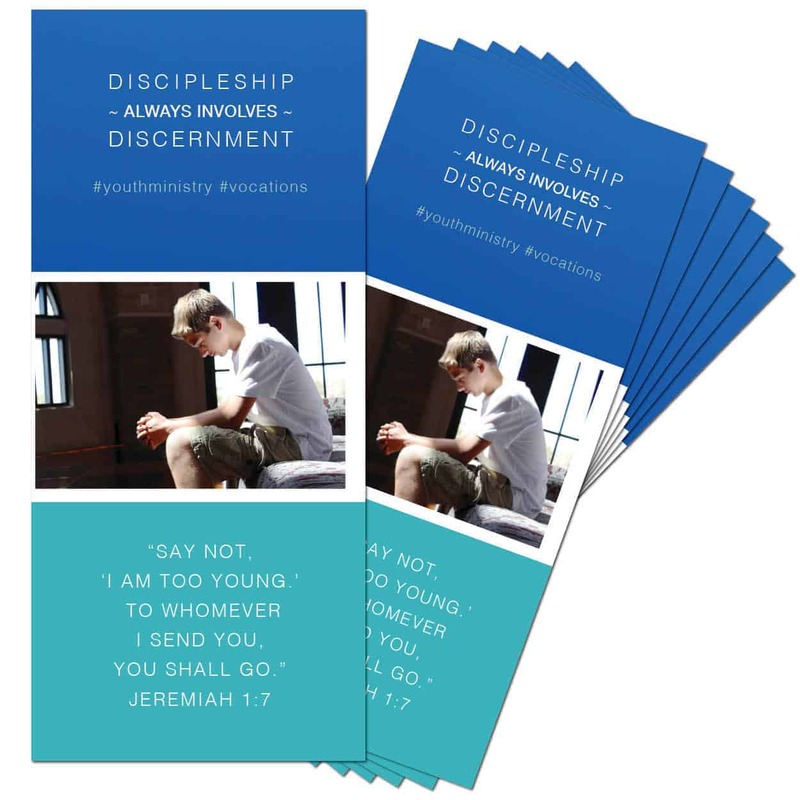 Contemporary brochure design helps Youth Ministers understand their role in fostering vocations. 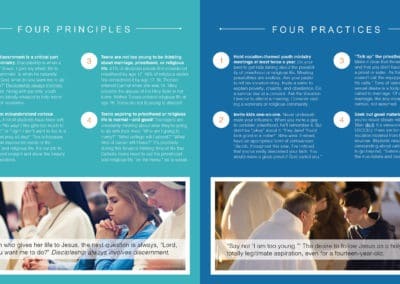 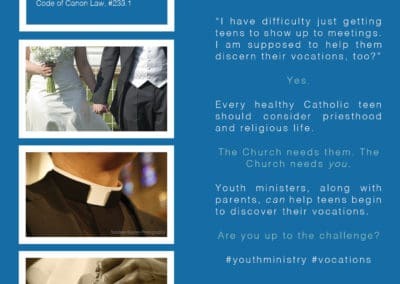 “Discipleship always involves discernment” is the theme of this brochure that helps Youth Ministers (and adult helpers) understand the necessity of helping teens discern their vocations. 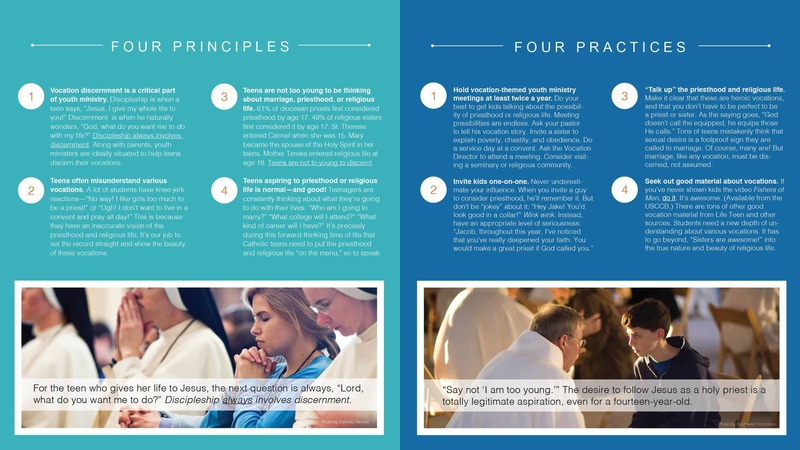 Inside it explains “four principles” and “four practices” for fostering vocations within youth ministries. 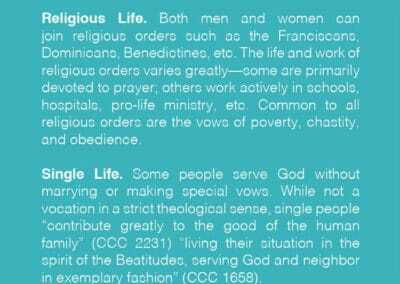 The back panel briefly explains marriage, the priesthood, religious life, and single life. 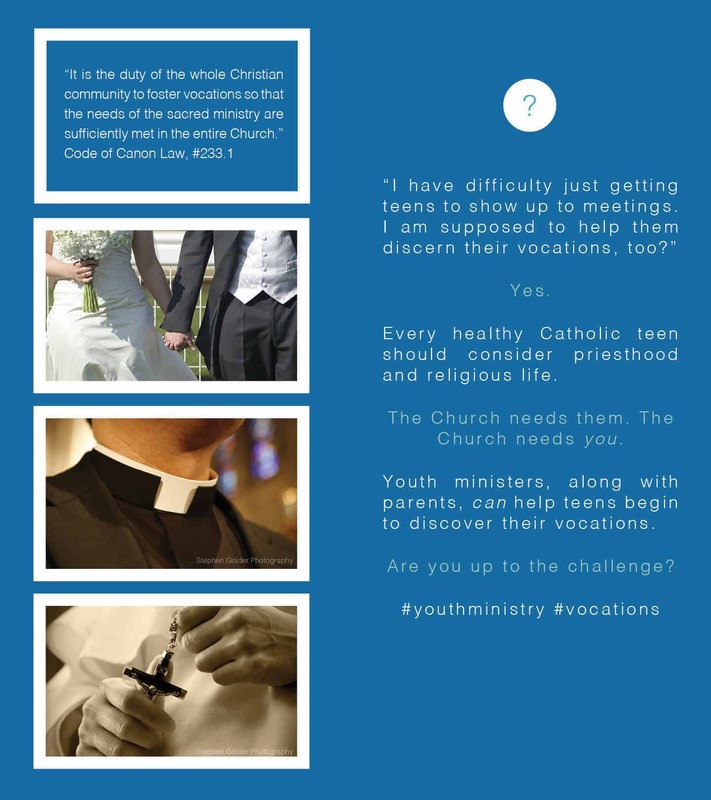 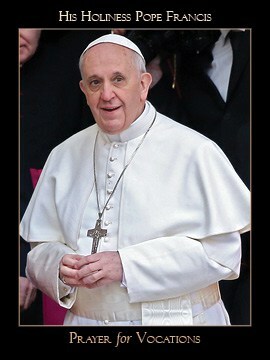 A great resource to send to all the youth ministries in your diocese!